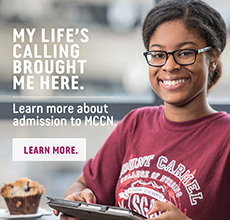 Mount Carmel College of Nursing recognizes that there are times when you or your family's circumstances change unexpectedly. In cases where there has been an unforeseen change that creates a financial hardship, there is an appeals process or “Special Circumstance” review that may be requested. In order to start the evaluation process, you will need to contact the Financial Aid Office. You will be required to complete the verification process and submit a completed “Special Circumstance” form (available through the Financial Aid Office, Special Circumstance Forms or on CARMELink). Additionally, you will need to provide any necessary, supporting documentation as requested. Submitted information will be reviewed and you will be notified of the decision. If the appeal is approved your FAFSA will be updated and a revised award notification will be prepared within three days of MCCN's receipt of your corrected FAFSA. *Please note that you will all receive an updated SAR (Student Aid Report) from the Department of Education reflecting any changes that were made to information on your FAFSA by MCCN. A Special Circumstance may also be requested to adjust your Cost of Attendance. Contact Financial Services for additional information.